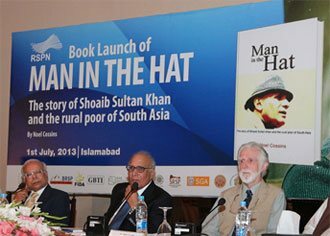 Mr. Shoaib Sultan Khan is the Chairman of the Rural Support Programmes Network. He is a pioneer of the Rural Support Programmes in Pakistan, a totally community driven development approach. He initiated the Aga Khan Rural Support Programme in 1982 and afterwards steered various programmes in Pakistan, India and South Asia, touching the lives of millions of rural poor. 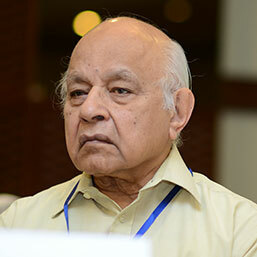 As Senior Advisor, South Asia Poverty Alleviation Programme (SAPAP) of the UNDP, Mr. Khan has set up demonstration pilots in six countries of the SAARC region, on the pattern of the AKRSP. 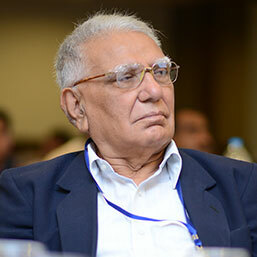 Having served as an illustrious bureaucrat and development expert, Mr. Khan has been closely associated with policy making and development planning of Pakistan. He is also serving as the Chairman of National Rural Support Programme, and is on the board of eight out of eleven RSPs. In recognition of his services, he received the Global 500 award in 1989, Sitara-e- Imtiaz in 1990, the Ramon Magsaysay Award in 1992 and the WWF Conservation Medal in 1994. Dr. Shahida Jaffrey has been honoured to become the first woman Vice Chancellor and founder of the Sardar Bahadur Khan Women’s University in Balochistan. She holds a Master’s Degree in English Literature from the University of Punjab Lahore and PhD in Education from the University of Philippines. She is the Chairperson of Behbud, Balochistan, which provides preventive healthcare to underprivileged women in the rural area of District Mastung. She has also served as the Chief Executive of the largest Rural Support Programme in Balochistan, the Balochistan Rural Support Programme. 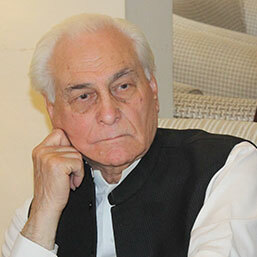 Muhammad Azam Khan has had a long and illuminous career as a civil servant in the Government of Pakistan. 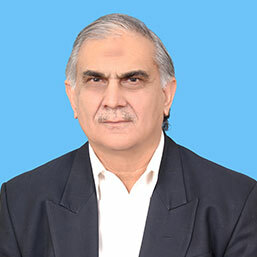 He has served as the Minister for Finance, Planning & Development Department, Government of Khyber Pakhtunkhwa (KP) and Federal Secretary Ministry of Petroleum & Natural Resources and Federal Secretary Ministry of Religious Affairs. Earlier, he held important positions in the KP government where he served as the Chief Secretary and Secretary of different ministries. Mr. Khan was educated at the University of Peshawar, following which he went to Lincoln’s Inn, London to complete his Barrister-at-Law degree. Serving as the Chief Executive Officer of the Rural Support Programmes Network, Shandana has over twenty years of extensive grassroots and policy level experience in rural development, mainly in the Rural Support Programmes. Her strengths are in project management, their design and social assessment. Her work involves undertaking policy advocacy with donors as well as with the highest levels of government and associated institutions. She has a social sciences background, with a Master’s degree in the Social and Political Sciences from Pembroke College, University of Cambridge as well as a Master’s in International Public Policy from the School of Advanced International Studies (SAIS), Johns Hopkins University. 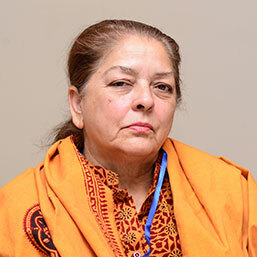 Mrs. Munawar Humayun Khan is Chairperson of the Board of Directors of the Sarhad Rural Support Programme (SRSP), which works in the province of Khyber Pakhtunkhwa and FATA. She also chairs the Board of Directors of the Agribusiness Support Fund, a national programme for the development of horticulture, livestock and dairy. She is a Director of the Ghazi Barotha Taraqiati Idara (GBTI). 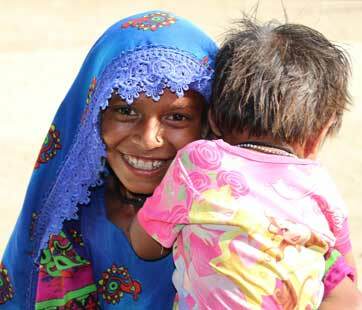 Mrs. Humayun is a development activist and agricultural farmer. 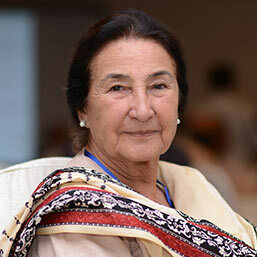 Graduated from Kinnard College, Lahore in 1961, she has 20 years of experience of representing Pakistan as a diplomat’s wife. Sardar Naseer A. Tareen is currently the Chairman of the Board of Directors of Balochistan Rural Support Programme. He has a long and distinguished career in development sector with a special focus on environment and conservation. 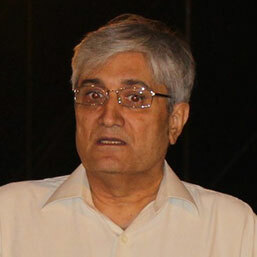 Mr. Tareen is also the Chief Executive Officer of the Society for Torghar Environmental Protection (STEP) and Chairman of the Pakistan Red Crescent Society, Balochistan. Mr Tareen has worked for more than 40 years with renowned institutions, including the United Nations, US Aid, IUCN, WWF and the National Council for Conservation of Wildlife. Mr. Khalid Mohtadullah is a civil engineer by training with vast experience in water resources policy, strategy, institutional development, planning, project preparation, research, implementation and management. He possesses advanced degree and diploma in engineering and management from MIT, USA, and the Harvard Business School USA, respectively. 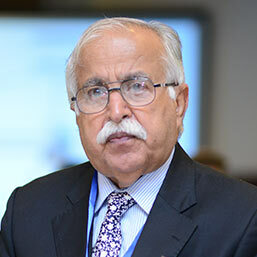 He served as Managing Director and Member Water of Pakistan Water and Power Development Authority (WAPDA) and remained Director of Research at International Water Management Institute (IWMI) and later served as its Country Director for Pakistan. Mr. Masood Ul Mulk is the Chief Executive Officer of the Sarhad Rural Support Programme (SRSP), the largest NGO working to alleviate poverty in Khyber Pakhtunkhwa province. Mr. Masood led SRSP’s relief and reconstruction work following the 2005 earthquake, 2009 Swat Valley conflict and 2010 floods, and worked closely with civil and military authorities. Following the earthquake of 2005, he oversaw the phenomenal relief work of SRSP followed by its reconstruction of 62,000 houses. Mr. Masood pursued academic studies and professional courses from Lawrence College, Wye College, University of York, American University, the World Bank and IMF, Washington. 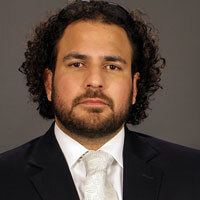 Mr. Ali Noor Mahomed Rattansey is the Chairman of the Board of Directors of the Aga Khan Rural Support Programme. Mr. Rattansey is a Chartered Accountant by profession and completed his degree from the Institute of Chartered Accountants in England and Wales. He is also a partner at A.F Ferguson & Co. 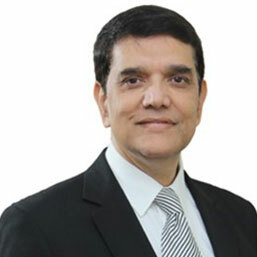 He is well known and respected in both the development as well as the corporate sector. He has worked for over 35 years in organisations such as New Jubilee Insurance, Askari Bank, the Islamabad Stock Exchange, Singer Industries and the Aga Khan Hospital and Medical College, Karachi. 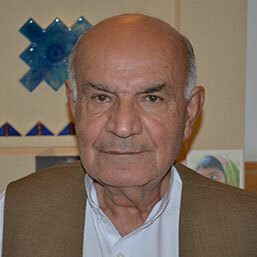 Agha Ali Javad is serving as the General Manager of National Rural Support Programme (NRSP) since 1994. He looks after the operations of the country’s largest community development programme comprising but not limited to social mobilisation, human resource development, natural resource management, microfinance, physical infrastructure, health, education and developing partnership with government, civil society and other development stakeholders. He has also worked with USAID and some international NGOs prior to joining NRSP. Faiysal Ali Khan is the co-founder and Chief Executive Officer of the Foundation for Integrated Development Action (FIDA). He is also the Executive Director of the PESCO Group and of Ariba Celcom, which are involved in trading, critical communications, security, transportation and contract logistics. 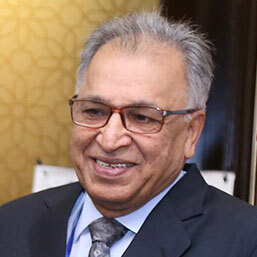 He is a member of the Pakistan International Chamber of Commerce and has chaired their Customs and Trade Regulation Commission and remains involved in trade facilitation in the region. He has also served on the Boards of SHV Energy and DHL Pakistan. Mr. Fazalullah Qureshi possesses extensive experience in public, autonomous, private and social sector services. 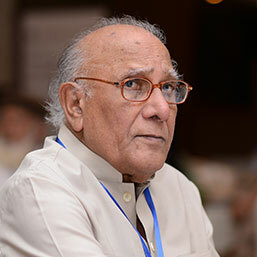 Born in Sukkur, he received his Master’s degree in Economics from Sindh University in 1965 and completed his post graduate studies in Development Economics at Glasgow University, UK, and a fellowship from Economics Development Institute (EDI), World Bank, Washington in 1977. He Joined Public Service in West Pakistan in the Planning & Development Department, Lahore in 1966. 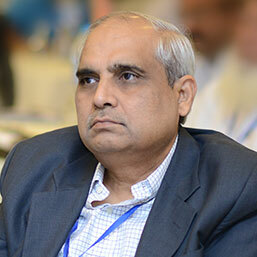 He has held numerous prestigious posts including Chief Economist of Pakistan, Joint Chief Economist Planning & Development Division, Chief Economist Sindh, Chief Executive Officer Federal Bank for Co-operatives (1995), Chairman National Tariff Commission and Federal Secretary Planning & Development and Secretary Statistics Division. Mr. Nadir Gul Barech is the Chief Executive Officer of the Balochistan Rural Support Programme, leading BRSP’s efforts to expand its reach throughout the Balochistan Province. 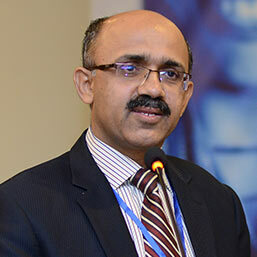 He has sixteen years of experience of working with the United Nations in Pakistan, at the national and provincial levels in a leadership capacity. He contributed significantly to the development of the Balochistan Conservation Strategy, which is the sustainable development agenda of the Balochistan province. Also, Mr. Gul has served the Government of Balochistan as Deputy Director PHED from 1995 to 1998. Mr. Nazar Memon holds MA in Economics from the University of Karachi and MA in Regional Planning from Clark University, USA. He has also obtained Diploma in Comprehensive Regional Planning from United Nations Centre for Regional Development, Japan and Diploma in District Health Planning from Institute of Child Health, London, UK. 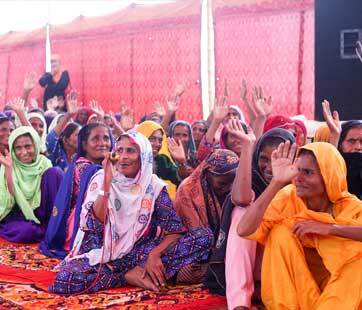 He has worked as the Chief Executive Officer of Sindh Rural Support Organisation (SRSO) till 2008. Mr. Memon has also contributed to the final draft of Local Government Ordinance 2000. 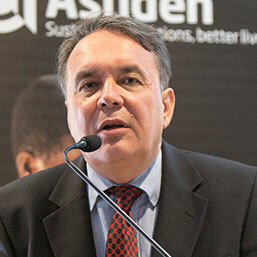 He has also served UNICEF in the area of social planning, with special focus on women and children. 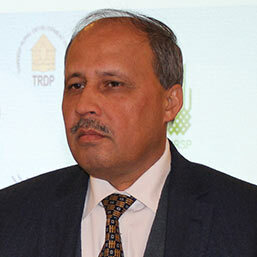 Malik Fateh Khan is the Chief Executive Officer of the Ghazi Barotha Taraqiati Idara (GBTI) since 2011. He is a rural development professional with over 30 years of experience in designing and implementing development projects in the public sector. He has been associated with NRSP since 1998. 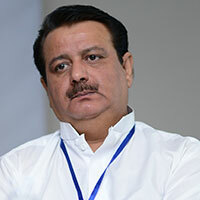 Before joining NRSP, Malik Fateh Khan worked as Director General of the Agency for Barani Areas Development (ABAD), Government of Punjab for eight years. He is a graduate of F.C. College Lahore and holds Master’s degrees in Economics and Political Science from Punjab University Lahore. Mr. Roomi S. Hayat currently holds the position of Chief Executive Officer of the Institute of Rural Management (IRM) Islamabad. He is also serving as the Chairman of Human Resource Development Network (HRDN) which has a membership base of more than 1,000 professionals and organisations. He holds two master degrees: Master’s in Engineering obtained from New Jersey Institute of Technology, USA in 1989, where he also attended a one year training course on Improving Training Quality from University of Illinois at Urbana Champaign – USA and AIT – Thailand, and Master’s in Rural Sociology. Dr. Naseer Muhammad Nizamani is one of the founding members of the Board of Directors of Thardeep Rural Development Programme (TRDP). 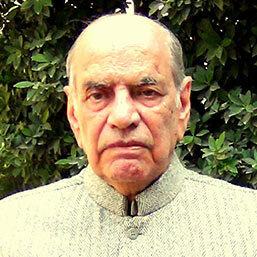 He has provided leadership to TRDP since the organisation’s inception in 1998. He has a long and distinguished career in programme management and training, teaching of health systems and international development. Professionally trained as a public health physician, he also complemented a degree in Rural Development from Pakistan. 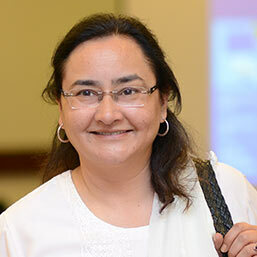 Dr. Nizamani has worked for more than 25 years with renowned institutions including the Aga Khan University Pakistan, Ministry of Health, Save the Children (UK), UNICEF, Family Health International, UNFPA and International Medical Corps. Mr. Allah Rakha Asi is working as the Chief Executive Officer of the Punjab Rural Support Programme (PRSP) since 2011. Mr. Asi served the Government of Pakistan as District Management Group officer for more than 28 years in the areas of General Administration, Financial Management and HR Management. He holds a Master’s degree in Economics. He has also worked as Regional General Manager of NRSP, Regional General Manager Khushhali Bank and Director General Financial Monitoring Unit of the State Bank of Pakistan. 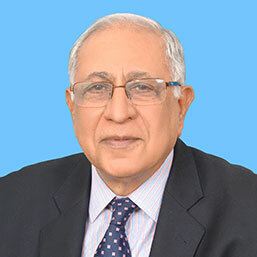 Mr. Javed Iqbal is a seasoned bureaucrat with career spanning over thirty five years of serving on key positions focusing policy development and implementation, human resource management, development and administration. He received his postgraduate degree in Political Science from Peshawar University in 1978 and did his MS in Public Administration from University of Pennsylvania, USA in 1986. He has served as the Chief Secretary Khyber Pakhtunkhwa and Chief Secretary Punjab. He also served the government at federal level as Secretary Economic Affairs Division, Secretary Ministry of Water & Power and Ministry of Railways. 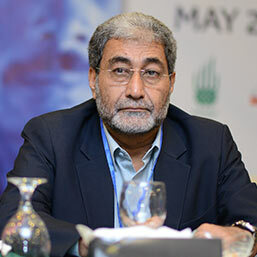 Mr. Muhammad Dittal Kalhoro is the Chief Executive Officer of the Sindh Rural Support Organisation (SRSO), an NGO with its head office in Sukkur and working in ten districts of North Sindh. He earlier served SRSO as Chief Financial Officer. He has also worked as Senior Manager Finance in Pakistan Telecommunication Company Limited and as Director Budget and Accounts at Water and Power Development Authority. He obtained his associate membership of the Institute of Cost & Management Accountants of Pakistan in 2000 and did FCMA in 2011. He obtained his Bachelor of Engineering in Agriculture degree from Sindh Agricultural University, Tando Jam, Sindh in 1995. Mr. Dittal also holds a Master’s degree in Economics from Shah Abdul Latif University Khairpur. Ambassador Amir Usman is the Chairman of the Board of Directors of the Ghazi Barotha Taraqiati Idara (GBTI), an organisation established in 1995 to facilitate the communities affected by the Ghazi Barotha Hydropower Project in resettlement and development. Mr. Usman is an experienced diplomat who has served as the Ambassador of Pakistan to various countries including England, Russia and Afghanistan. He also steered various local organisations in district Swabi for the welfare of underserved communities. 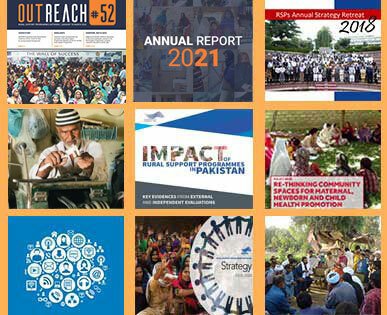 An eminent development professional, Dr. Rashid Bajwa is leading the only countrywide development programme: National Rural Support Programme (NRSP) in Pakistan. He holds an MPH degree from the UK and an MBBS from Pakistan. He has extensive experience in the fields of management, social mobilisation, community development, microfinance and policy. 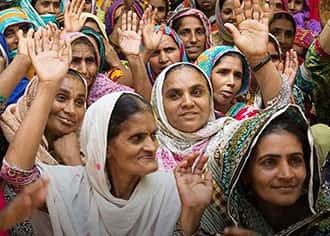 Dr. Bajwa is implementing one of the largest microfinance programmes in Pakistan. He has helped in setting up Khushaali Bank, while also providing guidance to other non-profits as Chairman of Pakistan Microfinance Network, Director of Khushaal Pakistan Fund, Punjab Rural Support Programme and Sindh Rural Support Organisation. Mr. Ejaz Rahim joined the Civil Service of Pakistan in 1969 after topping the CSS examination in that year. He has served on different posts at provincial and federal government level. 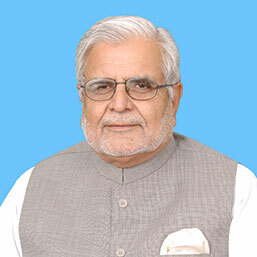 He retired as Cabinet Secretary, Government of Pakistan. He obtained Master’s in Development Studies from the Institute of Social Studies at The Hague, Netherlands. He also holds a Master’s degree in English Literature from Government College, Lahore. He was selected as Eisenhower fellow for 1989 from Pakistan. Mr. Ejaz Rahim has been engaged in writing poetry and has published nineteen books so far.